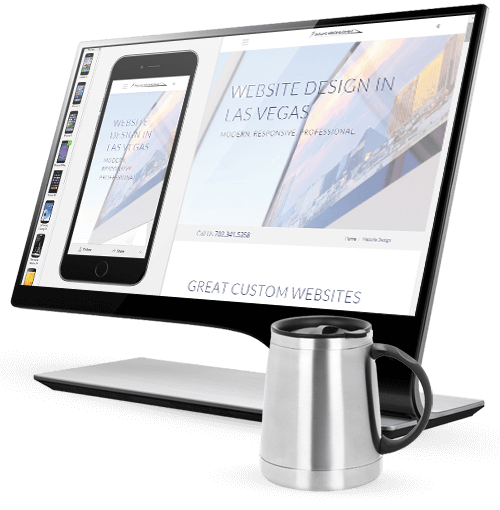 We're your solution if your brand needs a responsive & mobile-optimized custom website, an online store, beautiful galleries, or a professional blog. You've come to the right place. 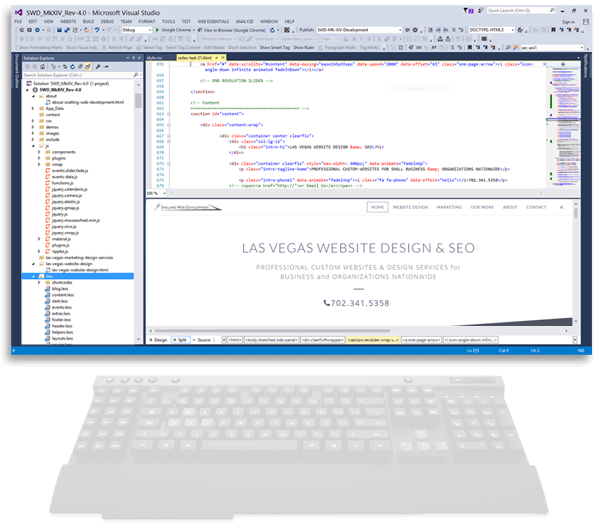 As a Las Vegas business for over 17 years, we've specialized in custom web design for startups, established businesses, organizations, and the government sector. Our custom websites are exclusively designed & hand-crafted to fully reflect your brand. We work with you to design a modern, responsive & mobile-optimized website that works on today's devices and beautifully presents all the great things about your brand, gains you traffic, and attracts customers. Your expertise in website design, thought provoking ideas, and ability to communicate those ideas to our Board & Program Directors made the task of creating our site an easy one for us. Designed, built & supported in the U.S.A. Relax. Web Design is Our Job. Almost 75% of smartphone users abandon websites that aren’t mobile-friendly or optimized for mobile devices. 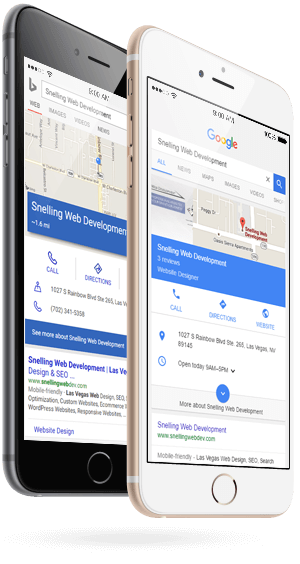 In our increasingly mobile Internet world, a responsive & mobile-optimized website is essential to your business success. Your customers need to be able to access your brand's products, services, and contact information wherever & whenever they want it on any device. 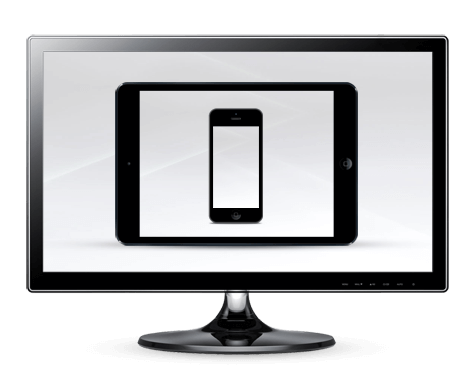 We build with responsive & mobile-optimized web design so that websites automatically adapt to fit the screen sizes of modern mobile devices. Your website will look and perform beautifully on full-size PCs, laptops, tablets & smartphones. In 2015, GOOGLE and BING search engines began boosting the search engine rankings for responsive & mobile-optimized websites. If your website is not responsive or mobile-friendly, you will suffer a loss in your search engine rankings, resulting in fewer customers finding your website. Invest now in a mobile-friendly website design to improve your search engine rankings & generate revenue. Our Search Engine Optimization (SEO) services optimize every page of your website for higher organic search engine rankings. 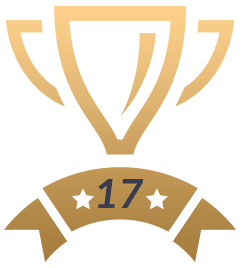 Higher rankings mean that you're more visible to local & global customers using search engines like Google, Bing & Yahoo! to find the products and services that you offer. Customers are then successfully driven to your website. We don't perform gimmicks or 'Black Hat' SEO techniques that will penalize your site's search enging rankings. We use ethical and safe practices approved by Google & Bing. 'Content is King' and the key to successful SEO. We write, edit, or assist you with writing good, solid and relevant content for all pages, products & services. Our specialty is designing & building beautiful custom websites from the ground up, tailored with features to meet your goals. Inferior 'web designers' use cheap, clunky & free templates and claim they're custom. We don't. Our clients value their brand and want that represented by the finest web design in the world. We design & hand-code custom websites to give our sophisticated clients the ultimate in design freedom, flexibility, and the highest quality. We develop websites that support established W3C standards, ensuring that your website works with all modern web browsers. Our websites include coding for accessibility features for the handi-capable using screen readers and other assistive technologies. For clients who wish to self-manage their websites, we also offer our WordPress website design & blog services for personal, business, or organization needs, using the most popular CMS platform in the world. We set up, configure & customize your WordPress website to meet your goals. You can choose from thousands of professionally designed WordPress themes & plugins to provide the features you want. 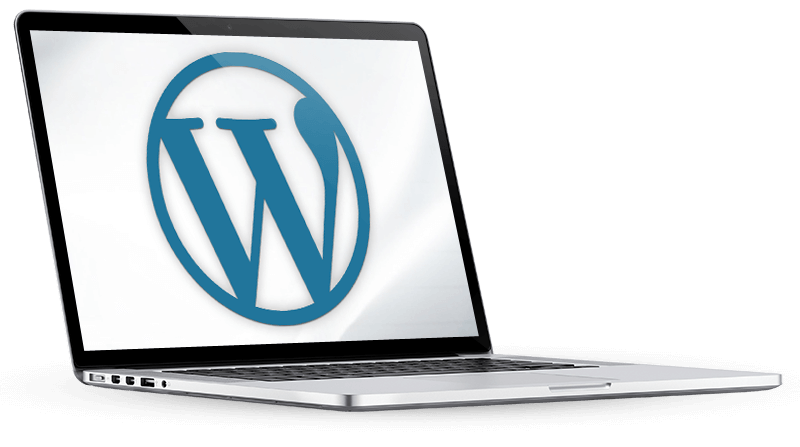 The WordPress platform is designed so that you can choose to self-manage your website. 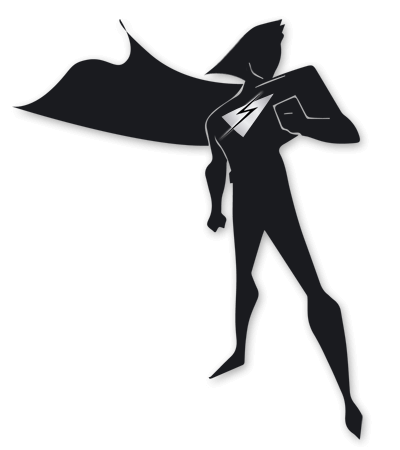 You can be responsible for all updates, security, plug-ins, configurations, backups, issues, and all other aspects. You may also retain us to handle all of this for you. Due to the self-managed nature of WordPress, they are only offered a limited website warranty. You have important things to do. As an optional service after a website is delivered to a client, we offer our Website Updating & Support services. For an hourly rate, we will provide complete, reliable & efficient updating services so that you can present the latest content to your customers. We also ensure that your website runs smoothly with a 99.9% uptime rate. Like your computer or car, your website will need regular maintenance, minor tune-ups & updates to keep it fresh and running correctly. Our services include simple textual changes, photo editing, new pages, significant site-wide changes, modifying your design, or any other changes you require. After you approve a plan that we present to you, we go to work designing & coding your new website. 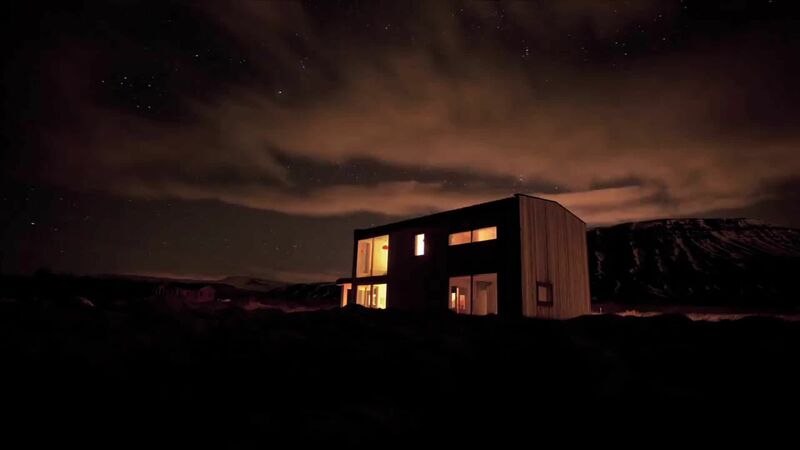 You're actively involved during the store's entire design & creation process. It's fun! Your new website is launched on the Internet, open to your customers locally & around the world. SEO coding is finalized & we submit the website to search engines for indexing. We're here for you when your website needs updates & changes or when you have questions. We also ensure that your website always runs smoothly & jump into action if something is amiss. Do you already have a website, but need a refresh or redesign? We can help to update your existing website or design a new website to replace your outdated one. Do you have a website that you've lost control of? We can assist with re-acquiring your website, domain name, website hosting, and email accounts that have been abandoned, mis-treated, or held hostage by other 'web designers'. Have you lost your website's account, domain name, email, or hosting account information and don't know what to do? We know where to look and can help you retrieve this information that may have been lost, taken by an employee, or held hostage by other 'web designers'. We'll help you get back in control of your web properties and accounts. YOU DO! Snelling Web Development requires that you pay for, own, and control your domain name and web hosting accounts. This ensures that you are always in control of your vital online properties. We incorporate many aspects into determining our project proposals for websites. We simply cannot give you a solid estimate on time and budget without knowing more about what your needs are, what research has already been done and needs to be done, what gaps exist, the size of the website, what content & graphic assets need to be created, who the audience/demographic is, and what exact deliverables are expected & agreed upon. During our consultations, we determine your needs, then schedule follow-up meetings via in-person, email, or video chat where more details are determined. Neither of us want surprises, so we do our best to eliminate them and be accurate. We'll need to fully understand what your company/organization and brand is all about, what your business strategy is, the current status of the project, info about any homework that has been done already, and what goals you're hoping for. We can then present you with a proposal consisting of more thorough logistics, actionable to-dos, and a project quote. Your imaginative and innovative abilities in developing one-of-a-kind websites is truly a testament to your creative genius in the field of custom website development. The website you developed was a great resource for friends, family & local residents who wanted to know about and pray for Officer Hernandez’s progress & recovery, as well as donate money to help his family.